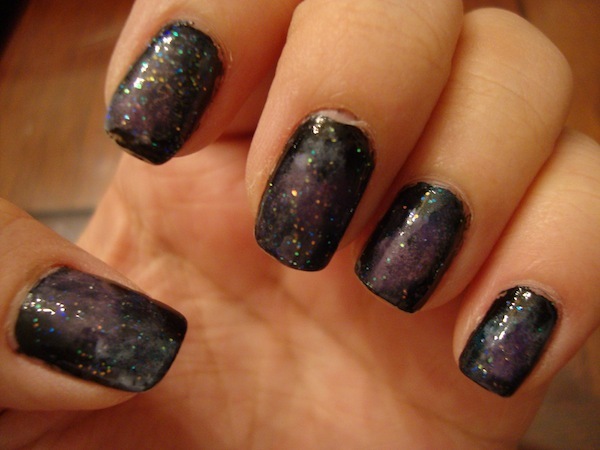 So for this week’s (late) Manicure Monday, I attempted to create galaxy nails. Despite being tardy to the party, I actually really like the trend. I’m not sure if I could pull of shorts and skirts, but I thought that I would definitely try out the nails. I’m also planning on making some shoes, so wish me luck with that! I attempted these nails three times. The first time didn’t turn out the way I wanted it to do, so I did it again. After that, I wasn’t necessarily pleased, but I was too lazy to do these nails a 4th time. The nails don’t take long to create and all you need is either a beauty sponge or a eyeshadow sponge; I ended up using both. 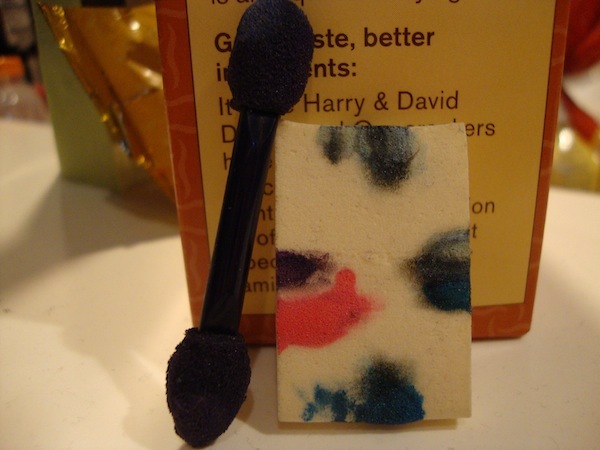 I feel like if you want more spontaneous/ messy blotches, you should use the beauty sponge, but if you want neater/small blotches the eyeshadow sponge is better since you have more control. An old eyeshadow applicator and a small makeup sponge from Sephora. The colors I ended up using for this look were Wet n Wild Ebony Hates Chris; Sally Hanson Complete Salon Manicure in Calypso Blue; Ulta Nail Lacquer in Snow Much to Do, Snow Little Time; Sinful Colors in 978 Amethyst; and a pink Love & Beauty polish from Forever 21. I also added glitter, to create a “starry” effect. 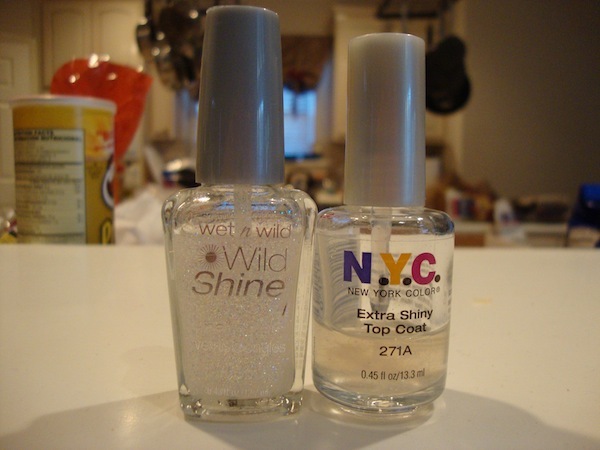 To do this, I diluted Wet n Wild Hallucinate in an old NYC top coat. Wet n Wild Hallucinate and the diluted version. My left hand, which I think looks better, which is strange since I am left handed. This look was inspired by missjenfabulous, but obviously didn’t turn out nearly as good as hers. I improvised and found colors that were similar to the ones she used in the video, but they aren’t as vibrant. 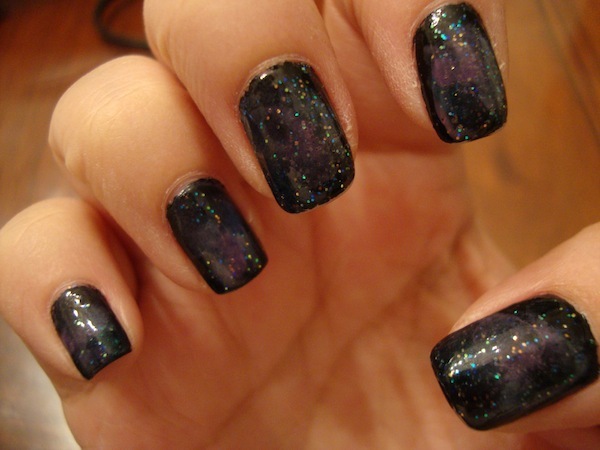 As always, I hope you enjoyed this post and if you try out galaxy nails yourself, comment below or link your pictures!